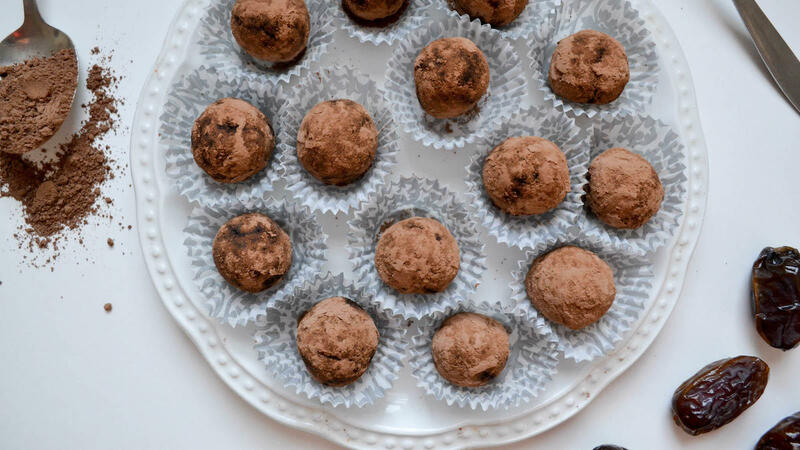 Most of us need few excuses to make a batch of chocolate truffles, especially when coffee is involved. 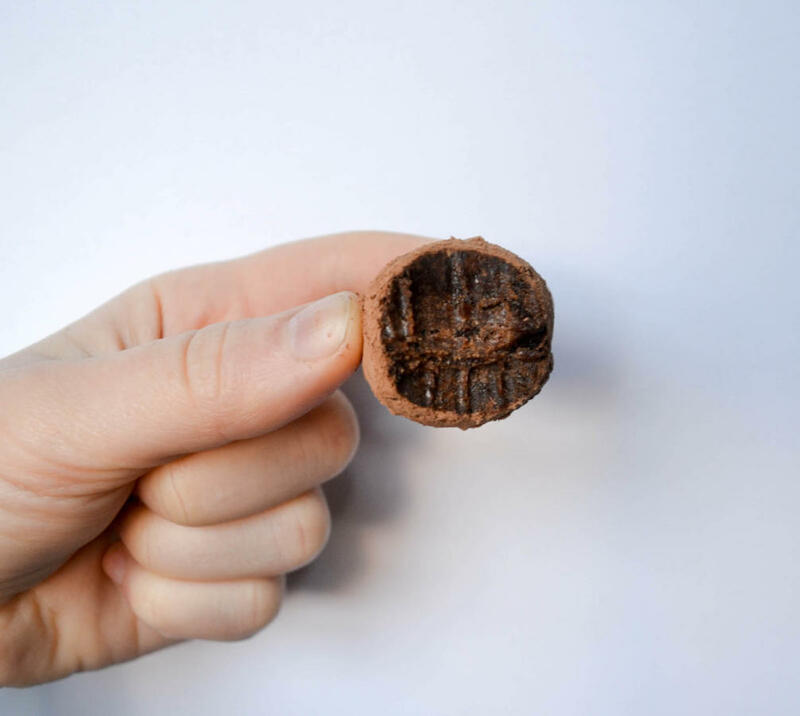 My take on chocolate espresso truffles combines a velvety chocolate base with just enough espresso flavor to give you your caffeine fix. The fact that this version is vegan, kosher for Passover and healthy (no added sugar!) is just icing on the cake. I make these truffles with whatever nuts I have on hand (hazelnuts are to die for and make them taste like Nutella). Roll them in cocoa powder, unsweetened shredded coconut, shaved dark chocolate or all three! Combine the cashews and almonds in a food processor and process until very finely ground. With the motor running, add the pitted dates one by one until a consolidated dough begins to form. Add the cocoa powder and ground coffee, and process until fully incorporated. Working with 1 tablespoon of dough at a time, roll the dough into balls. Pour ½ cup cocoa powder into a shallow dish and roll the balls around until coated. Serve at room temperature or place in the refrigerator until ready to serve.